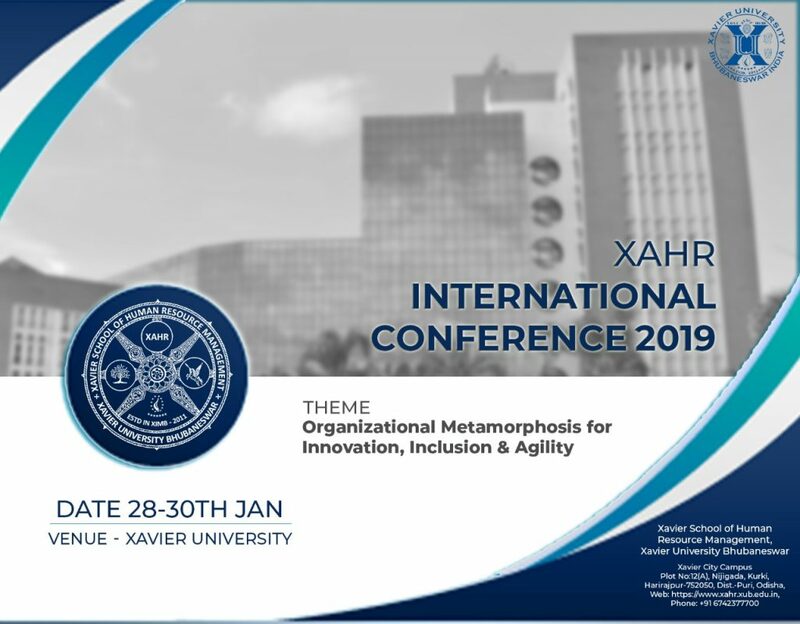 XUB is hosting a three-day conference, “Organizational Metamorphosis for Innovation, Inclusion and Agility” on January 28th-30th, 2019, and will witness the participation of various stakeholders of the Xavier fraternity, including students from the diverse schools operating under XUB, as well as stalwarts from the Human Resource industry. The business world of today is buffeted by technological, legislative and social changes which can potentially alter, radically, organizations’ internal structure and their relationship with external stakeholders. These changes are forcing organizations to simultaneously change their business processes and the composition of their workforce. Specifically, organizations must innovate with respect to their internal processes and external products, increase the diversity of the workforce to improve their long-term effectiveness and be more agile in order to adapt to an ever-changing environment. Hence, the International Conference provides a platform for stimulating interaction between the veterans of the Human Resource world and the students.